Our complaint letter template provides the proper balance between letting the recipient know that you are very unhappy, while also making it clear that your complaint is well founded in fact. You don't want to be perceived as a raving lunatic. Rather, you want the recipient of your complaint to understand that your complaint is valid and is being made only after thoughtful consideration for all parties involved. Clearly, no one wants to have to take the time to write a letter of complaint. Sometimes, however, it is necessary to complain in order to complete a project or to receive the proper result you deserve. A well-written complaint letter can serve this purpose. Ideally, your complaint should result in your satisfaction on the issue. The recipient should also benefit by understanding and appreciating your point of view; allowing both parties to move forward in a more positive way, and ultimately provide the opportunity to create an even stronger relationship. When crafting a complaint letter it's important to make your complaint to the person(s) who have the ability to correct the situation for you. Finding out who has the authority to fix the situation will decrease the time everyone will have to spend on the issue. State plainly, but without being overly emotional and without accusations or unfair bias, your reason(s) for making the complaint. Make it clear what you expect to remedy the situation. Indicate precisely what the reader can do to address your complaint, and provide a reasonable for having key actions completed. (Be certain that your expectations are reasonable and achievable. Don't be overly zealous or you'll lessen the chances of receiving a positive outcome. "Make no complaint you aren't willing to assist in fixing." Be clear and firm, yet maintain a respectful and professional tone in your letter, and in any subsequent communications. Somewhere in your letter, appeal to the reader to place themselves in your shoes to help them understand the conditions that frustrate you. In return, let the reader know that you have also made an effort to consider their position and the various obstacles and barriers they may be faced with. Bottom-line - seek to achieve an outcome that both parties will recognize and fair and respectful. "It's ironic that in our culture everyone's biggest complaint is about not having enough time; yet nothing terrifies us more than the thought of eternity." Allow for Human Error - Remember that most errors are made unintentionally. Realize that most businesses and individuals want to do a good job. They want to keep their customers satisfied - it's simply a good business practice. Keep it Short - The complaint letter should be no longer than one page. Stick with the facts only - keep personal judgments, emotion or bias out of the communication. Be Fair and Balanced - State your issues honestly and in a straightforward manner. Include enough detail to support your claim so the recipient will clearly understand what you have experienced. Be Firm and Be Reasonable - Always use a respectful tone, avoiding any sort of aggressive or accusatory language. Seek to resolve the situation in a way that is fair and respectful to everyone involved. 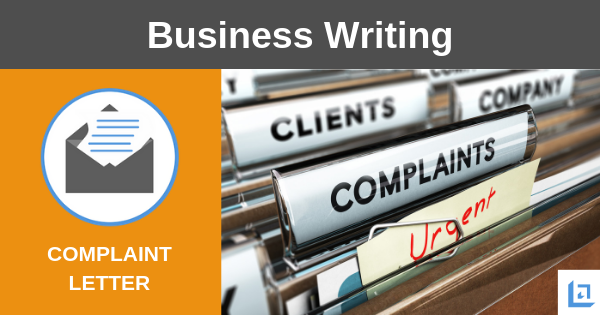 By following our complaint letter template the above goals can be achieved with minimal effort. Remember what the final goal of your letter is. Your goal is to remedy the issue(s) that are causing you frustration, without destroying the relationship whenever possible. 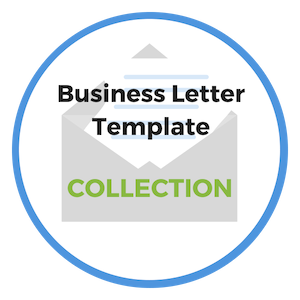 If your letter does not provide the desired outcome, then escalate your concerns to the next level of management following the same thoughtful approach. 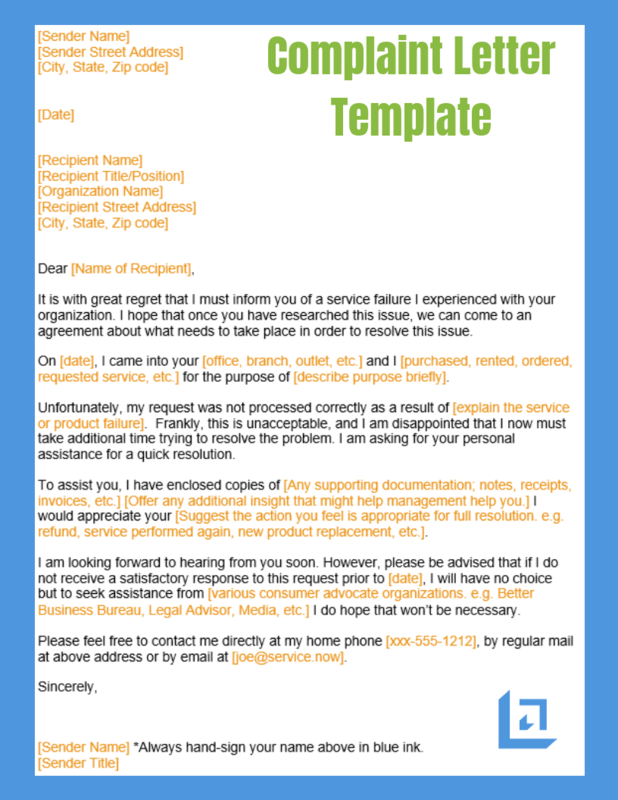 Show below is an image of our sample complaint letter template. Use this tool to make certain your complaint is perceived as coming from a thoughtful and sincere individual. 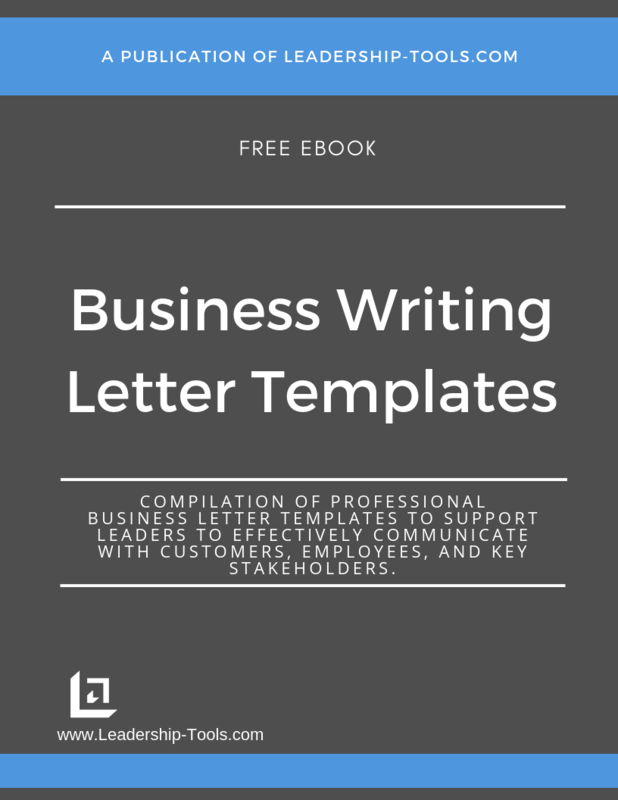 To download our free Business Writing Templates/eBook, complete with the above complaint letter template, plus templates for many other topics, simply subscribe to our free newsletter. You will immediately receive a password that grants access to our entire leadership tools library.